We get a lot of questions about buying real estate in Argentina, so we’re excited to bring you this overview from Elias Kier Joffe. Elias is the managing partner of one of the premier law firms in Argentina representing individuals from the U.S. and other countries in luxury, personal residential, specialty and commercial real-estate transactions. Elias was featured in this New York Times article on Argentina’s real-estate markets for foreigners and expats, and he contributes the following overview and guide to Argentina real estate for foreign buyers. For more than 70 years, we have assisted international clients in locating and selecting their ideal properties, and helped them achieve favorable terms in negotiations. Smooth transfer of ownership and trouble-free management of tax and regulatory issues are also key objectives. In the past few years alone, Kier Joffe has represented internationally known clients with multimillion-dollar transactions. Our lawyers provided a range of international real estate legal services across Argentina for clients in the United States, Canada, England, Ireland, Scotland, Australia, Israel and other places throughout the world. Our main role has usually been to help international buyers identify and take advantage of the values available, plan for the future, and maximize returns on their existing properties. In this article, I give a run-down of the salient things an international buyer will want to know. Before discussing some of the real-estate market conditions and opportunities in Argentina, let’s first review the sales process and the issues of property ownership integrity and security. In general, purchase and ownership of property by foreigners is unrestricted and foreign individuals and companies have the same property rights as Argentinian citizens. The only major exception to this is that government approval needs to be obtained for foreign ownership of property in the immediate area of Argentina’s national borders with neighboring countries. There are also size limits for foreign ownership of rural lands and restrictions on ownership of major portions of larger lakes or rivers. Though the foreign acquisition and transfer of property in Argentina is quite straightforward, for optimal outcomes, I highly recommend hiring a lawyer. 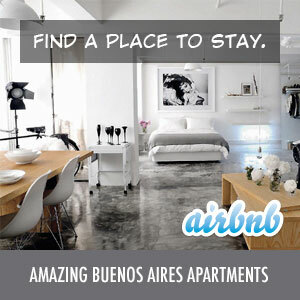 It can often be ideal if you do so before contacting an Argentinian real-estate agent. Once you negotiate the price on the property you’re interested in, it takes about four to six weeks for deed transfer. And if you’re not available at that time, the deed transfer can be handled for you by a trusted agent through a power of attorney. Reserva – this is your initial offer, and the seller’s realtor will ask for a deposit equalling 2% of your offer price. If it is not accepted or you do not accept any counter offer before the reserva expires (typically one week after your offer), your deposit will be returned. Boleto – this is prepared by the notary, usually completed immediately after or within a week or so after the reserva process. The boleto is is a pre-contract that sets out the specifics of the planned sale and transfer, which includes financial, encumbrance, and property boundary and build-out specifications. Typically, 30% of the agreed price will be due to the seller at this point. If the buyer backs out, the down payment is not refundable. If the seller backs out, the down payment must be returned to the seller – in double. In such a case, the buyer also has the legal right to enforce the sale. Escritura – this is the closing date (typically set within a week or two, or up to a couple months, of the Boleto completion) when the formal deed transfer is made and the buyer takes possession of the property. At this time, the balance on the agreed sum is paid in cash or by verified bank transfer. The role of a notary (escribano) is legally required for property transactions in Argentina. The notary investigates and certifies title security, tax and mortgage history, lien issues, and property specifications. (If the seller already has a Certificado de Dominio, this simplifies the process of title security and encumbrance investigation.) The notary also registers ownership transfer with the government. The notary also prepares the boleto (pre-contract) and final deed. Beyond the actual purchase price, the costs you can expect will include legal fees, escribano (notary public) fees, property registration fee, stamp costs, and agents fees. In most transactions these will total 10% or less of the purchase price. Some of these costs may be shared with the seller, as well. In our practice, the lawyer, notary and closing costs often make up about 3% of the sales price. Once you become the new owner of a property in Argentina, you will also be responsible for annual property tax payments. You tax rate will be based on factors including the sales price, the ‘valuación fiscal,’ the VIR, so take care with the advice and assistance you employ in this area. Most properties are also subject to an annual municipal tax of about 1/2% of property value to cover garbage collection, street lighting and infrastructure maintenance. Cautionary Note – because properties are priced, and bought and sold, in U.S. dollars, avoid unnecessarily converting your funds to Argentinian currency, because you will just have to convert it back – and you are likely to lose some value in each direction of conversion. The real-estate market in Argentina is sometimes confusing to international buyers, sellers, developers and renters. But when understood and handled knowledgeably, the values available in Argentina are some of the very best in the world. Argentina’s culture today shows a deep legacy on the surface – tango, polo, fine wines, a rich multicultural history, and a vibrantly expanding international economic sector. It also includes rich qualities to attract the young trailblazers as well, in the vast, varied, adventurous and breathtaking natural expanses. All of these are potential targets of a real estate search: vineyards, polo ranches, private villas, luxury residences in Buenos Aires, spectacular Patagonian estates, mixed-use developments, etc. There is much more to be found and experienced by digging beyond this vibrant surface patina. A good law firm or other native advisor will always discuss all potential avenues with a potential buyer. The goal is to make the potential buyer aware of all the options, opportunities and drawbacks to choose from; and to learn as much as possible about the potential buyer’s interests and situation. Only in this way, can the communication lead to the best outcomes, and often discover possibilities that forge a new way that no one had anticipated. Buenos Aires is sometimes compared to 1920’s Paris and to modern-day New York City, with a native beauty and cultural vibe undeniably of its own. Currently, there are many North America, British, Italian and French buyers, and word has been spreading. But it goes far beyond just Buenos Aires, depending on your personal orientation or business focus. From Patagonia, one of the few places on earth where glaciers still calve into the ocean, to the wine country of Catamarca at the foot of the Andes mountain range, to the stunning, nearly virginal areas with population densities from a few to less than one inhabitant per square kilometer, visionary people from all over the world, including but not limited to American media moguls, world reckoned international CEOs, and forward-looking adventurous types of all stripes, are drawn by the exceptional and varied beauty and largely undiscovered economic values still to be found. With the ongoing growth of tourism and high occupancy in luxury hotels and other short-term rentals for tourists, the opportunities there are strong, too. Many have seen the potential for a vibrant and exciting overseas property investment in Argentina. Most who have succeeded in their quest credit the choice to engage a team of well-chosen knowledgeable, insightful and hard-working local assistants. This is very important – choose your guidance and service providers with care.